Learn how to repair your Motorola Moto 360 with this video overview. Hello Moto! After months of speculation and publicity, Motorola has finally released their flagship smartwatch, the Moto 360. Join us as we disassemble it and answer the one question Motorola dares not ask. Touted as the first circular smartwatch, the Moto 360 aims to revolutionize the industry, but will it be repair friendly? Need to satisfy all of your teardown curiosities? We've got you covered. Check us out on Facebook, Instagram, or Twitter! Please welcome the Motorola Moto 360 to the grandest teardown stage of 'em all: ours. We at iFixit appreciate fine craftsmanship. The Moto 360 has some of the finest external craftsmanship we've ever seen on a smartwatch, featuring actual stitching and a Horween Leather wristband. The backside of the Moto 360 is marked with technical specifications in fun holographic text. The Moto 360 is built with corrosion-resistant Grade 316L Stainless Steel and is IP67 water resistant. An IP67 rating means it is protected against immersion in up to a meter of water for 30 minutes. The Moto 360 is the first Android Wear smartwatch to ditch physical charging ports in favor of inductive charging. This means that you can use any Qi charger that you might have lying around, as long as you can get the coils to line up correctly. It's been reported to use the official Motorola Moto 360 wireless charger that comes inside the box for best consistency, using 3rd party chargers only in a pinch. The lack of a physical port means that debugging will have to happen over Bluetooth. Thankfully, Google has provided documentation for such a feature. Stay tuned, we'll be diving into the charging dock a bit later. Motorola claims that the Moto 360 should fit any standard 22 mm wristband. That said, the included instructions tell us replacing the band, or adjusting a metal band requires "specialized tools" and the skills of a jeweler. We had no trouble with our trusty tweezers. AnandTech reports that "New RF techniques were also used to make custom metal wristbands that don’t interfere with the antennas of the watch itself", implying that third-party metal wristbands may cause interference. Looks like users hoping for a classy metal band will have to wait for the official fall release, or risk spotty connectivity. The adhesive in the Moto 360 is proving to be a real challenge, so we heat. We heat again. And finally, we heat some more. Just one more win for our champ, the iOpener. The Moto 360 is living up to its IP67 standard. Even getting the plastic rear cover off is a huge pain—hopefully meaning you can rest assured that dust and water are staying out. Even though we were careful when prying with an opening pick to separate the rear cover, we managed to crack the cover right down the middle. Looks like we just lost our IP67 standard. With the rear cover removed, we get our first look at the photoplethysmogram (PPG) heart rate sensor. A PPG is generated by shining light onto your skin and measuring the reflected light, tracking blood flow and therefore your pulse. Anatel is a Brazilian government telecommunications agency that approves devices for marketing and sale in Brazil. The Moto 360's innards are sealed in tight. No easy point of entry and a rubber o-ring waterproof this oyster, but make it extra difficult to open. We suspect Motorola has a special tool for this job. For the rest of us, there's the Jimmy. Instead of a pearl, we find a round motherboard squeezed into the inner enclosure. A couple of data cables run to the front panel connecting the two halves. Disconnecting the LCD and digitizer cables frees the halves for more exploration. Any good water resistant watch will have some fancy seals. Our Moto 360 is no different, and it keeps water away from its innards with a colorful rubber o-ring. The o-ring is essentially a fancy rubber band. But for technical purposes, we will refer to it as a fancy rubber o-ring. After all, we are professionals. A bit of prying frees the motherboard assembly from the rear housing. A brassy semicircular ring surrounds the inner housing, providing a ground connection between the motherboard and outer bezel. If you take a close look at the motherboard assembly, you'll notice five spring contact pads that line up with openings through the rear housing—perhaps an access point for programming, testing, or hardware hackers. (Just peel up the FCC sticker under your watch band, without disassembling your Moto 360, to access these pins). Motorola has graciously included a pull tab to ease removing the Moto 360's battery. Considering the work it took to get here, it feels like a bit of a joke—sort of like handicap-accessible bathrooms on the second level of a store that has no elevator. Talk around the water cooler is that the Moto 360 suffers from an abysmal battery life. Motorola Moto 360: 3.8 V, 300 mAh battery rated at 1.1 Wh of energy. Samsung Gear Live: 3.8 V, 300 mAh battery rated at 1.14 Wh of energy. LG G Watch: 3.8 V, 400 mAh battery rated at 1.5 Wh of energy. There's something afoot, because Motorola has marketed the Moto 360 as having a 320 mAh capacity battery, but the battery is clearly marked as 300 mAh. Update: Ars got a response from Motorola: "For Moto 360 we only had room for one figure and choose to list the minimal capacity of the battery. We see how this can be confusing and we will look into ways to add the typical capacity as well in the future." After peeling off a (seemingly nondescript) backing sticker, we find a shiny inductive charging coil. The Moto 360 is the first Android Wear smartwatch to feature inductive charging. Previous Android Wear smartwatches like the Samsung Gear Live and the LG G Watch featured metal charging contacts. Inductive charging works by passing an alternating current through a transmitter coil (charging dock), which creates a magnetic field. This magnetic field then induces a voltage in the receiver coil (pictured here), which charges the battery. Let's play "Is it Magnetic?". The rules are pretty much self-explanatory. Would you look at that, it's magnetic. We suspect that the charging coil's sticker backing works like a transformer core, made of up ferrous material that "serves to greatly reduce the magnetizing current and confine the flux to a path which closely couples the windings." Tl;DR: we're thinking this sticker improves the inductive charging efficiency. "It is most likely a shielding for the main circuit board. When you are focusing a lot of energy through space, you cannot guarantee it will all end up on the receiver coil. Therefore you will need a shield to absorb any stray energy. Just think, if a wire just happens to be the perfect shape to receive energy, it will likely cook the circuit." Layered underneath the Micron RAM we found a Texas Instruments X3630ACBP (OMAP3630) OMAP 3 Applications Processor. We were a little...unimpressed by Motorola's pick. This is the same processor found in the Motorola Droid 2, and the MOTOACTV, Motorola's first smartwatch—2010 and 2011 tech. We're back to heating and prying as we work to free the LCD. Just like before, it took a significant amount of heat to coax this LCD out of its ring. This isn't the special round OLED display little birds were telling us about. We're guessing this difference probably has more to do with price than design. After all, round displays are not exactly dime-a-dozen. All this ring-around-the-rosie reminds us of a another round gizmo. After being freed from the rest of the watch, the display assembly is laid out in all its glory. 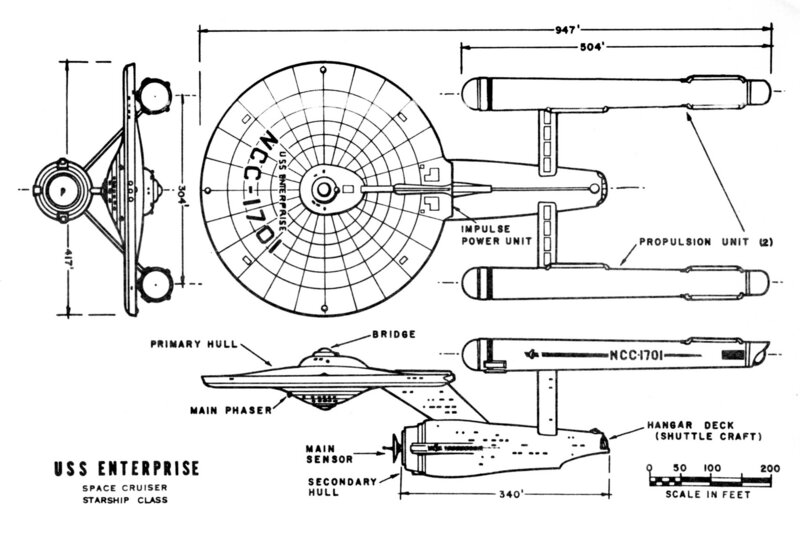 We can't help but notice that it looks just like the USS Enterprise, if it were missing a nacelle that is. The Moto 360 is the first Android Wear smartwatch to feature an ambient light sensor (for an auto-dimming screen). To save space, Motorola built the sensor into the display assembly, which explains the black bar found on the bottom of the display. What secrets could the Moto 360's charging dock hold? Let's find out! With Jimmy in hand, we remove the charging dock's circular, rubber foot with ease. With a little help from our Pro Tech Screwdriver Set, we remove four T5 screws that stand between us and inductive charging goodness. We were surprised to find that the charging dock has a decent amount of heft to it. The dock's internal assembly is secured by a single clip, which is easily dispatched with the flick of a spudger. The main event is an insulated inductive charging coil soldered to the charging dock's motherboard. Just like the watch's charging coil sticker, this coil's gray backplate is ferrous. Motorola Moto 360 Repairability Score: 3 out of 10 (10 is easiest to repair). Watch band is a standard size and easily replaceable (with small enough tweezers). Heat and careful prying is required to remove the rear panel—and then even more prying to pull out the inner housing. It is very difficult to open the device without compromising its waterproof seals. The battery is trapped deep within the device, within the inner housing. Nearly complete disassembly is required to replace. The display does require complete disassembly to replace, as it is removed from the back of the main bezel.